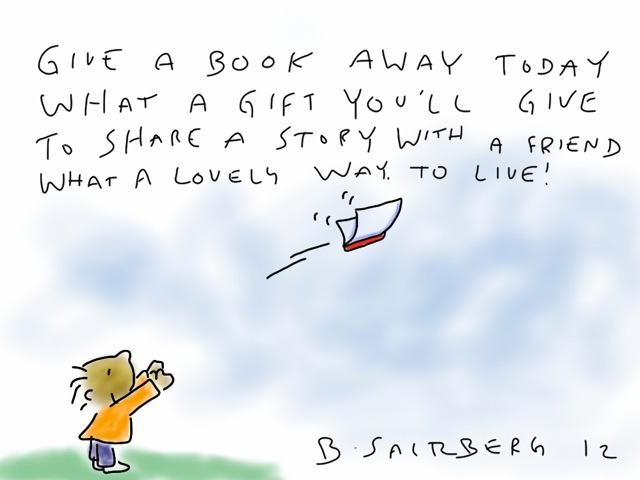 Happy International Book Giving Day to each and every one of you giving books to kids today! It is a pleasure to have you joining us from Australia, Canada, South Africa, France, India, Ireland, Japan, New Zealand, Singapore, the Philippines, Turkey, the United Kingdom, the United States, Germany, Nigeria, Nicaragua, Brazil, Egypt, Poland, Greece, Portugal, Mexico, Macedonia, Malawi, Hungary, Malaysia, Israel, Denmark, Thailand, Indonesia, Jordan, China, Puerto Rico and Bulgaria! Five things you can do today to celebrate! Donate money or time to a charity working to distribute books to kids. A few excellent organizations working internationally to increase children’s access to books are Books for Africa, Room to Read, Book Aid International, The Book Bus, The Indigenous Literacy Foundation and Pratham Books. 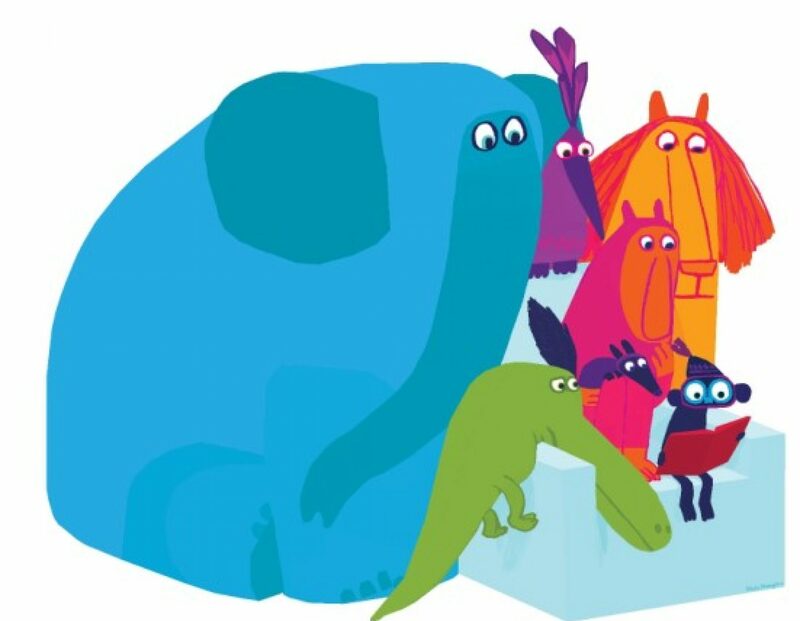 Connect with others celebrating International Book Giving Day! If you haven’t already, decide how you will celebrate International Book Giving Day, and add your name to our list of people giving books to kids for International Book Giving Day. If you have the chance, take a picture of your act of giving and share it with the hashtag #giveabook. 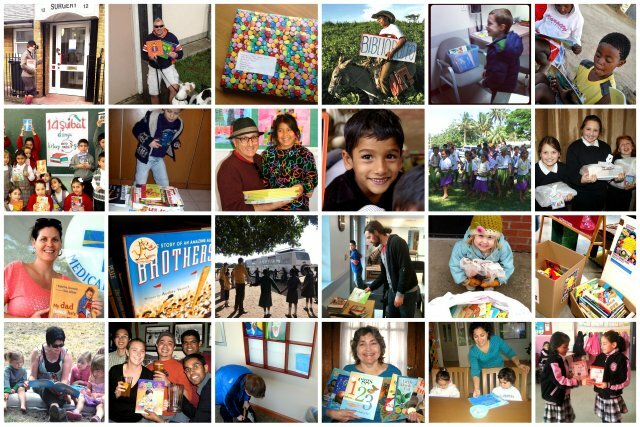 Connect with others celebrating International Book Giving Day via Facebook or Twitter.